This is a guest post written by Auston Bunsen. Auston is the organizer behind SuperConf, an awesome conference for web entrepreneurs which I had the privilege to attend in February. If you’re in the South Florida area, make sure you go next year! I watched a Mixergy interview with Jason Fried [link] and at one point he talked about how they (37Signals) hired a data guy to generate metrics, more specifically Customer LTV. Andrew asked how LTV is calculated & if there was software available to help figure it out. This is my answer to that question. 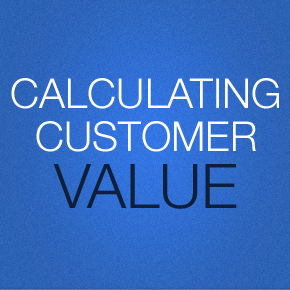 It’s how I’ve done Customer LTV calculations & segmenting at companies I’ve worked with/at. Hope it’s useful! Disclaimer: Code may not be 100% working & some of this stuff is very lego-like. Take this with a grain of salt, it’s just how I do my LTV stuff. For a SaaS startup today, the formula in it’s simplest form is as follows. If you’re lucky, you will have a record (in a table or datastore) of all payments (& hopefully declines) that a given customer has made. If you don’t have this you may be able to get it from your payment gateway via their API. If you can, do yourself a favor & do a retroactive import of this data & store it on your servers. It’s important! That covers how to get a granular look at your customers & their lifetime value. But now that you’ve got that, you’re probably going to want to see where the bad customers came from. Conversely, you might have some intuition that certain traffic has a lower or higher LTV than others. Basically, you’ll want to go deeper. 1. Mash up data from google analytics with your own data by using their API [link]. With the above information, you can create dashboards for realtime campaign tracking (or just dashboard widgets, like one for geckoboard [link]), daily emails with metrics, create upsells to your customers based on LTV (in order to raise low LTV or increase revenue in high LTV customers), re-focus your marketing/pr efforts where they will make the most impact based on historic data & if you’re really nerdy (& smart) run ML/Pattern recognition on your data to find patterns that may be interesting. If you’ve enjoyed reading this, you can follow the author on Twitter @Bunsen. For more startup news, follow us on Twitter @startupfoundry.